Restored and wired to work. The brown-coloured models are rarer, making the price slightly higher. The brown version is particularly reminiscent of the 1970s. 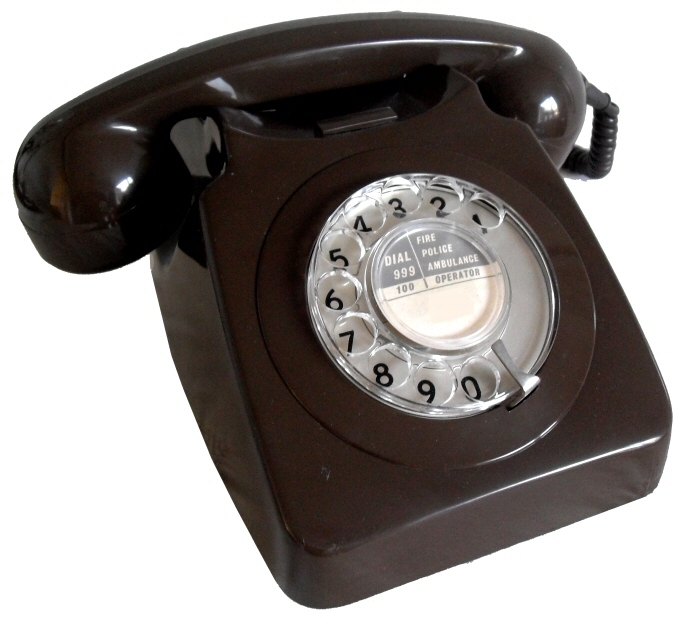 These phones will work in virtually every country, and in many cases - if you let us know beforehand - we can make sure the telephone is delivered with the correct plug for your telephone network. All telephones have a 12 month guarantee. We also offer a full repair service. Click here for a ring sample.